Ahhh .... Silver Spring, Maryland, Unique, Diverse, Interesting, Rich in History, Revitalized, Historic, Charmin g and Modern all at the same time. There is no place like Silver Spring and, with regards to Housing, still affordable compared to the rest of Montgomery County. 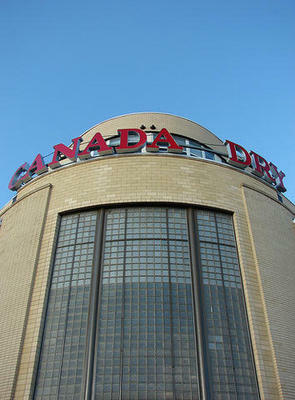 A Superb Location just over the Washington, DC line. 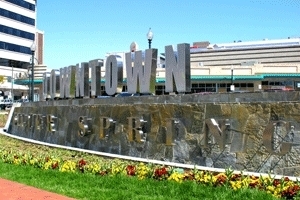 Silver Spring is located along the north east border of Washington D.C., a sprawling area that was named for a spring with sparkling bits of mica. The eastern arm of the red line serves the four metro stops in Silver Spring, the Silver Spring station, the Forest Glen station, the Wheaton Station and the Glenmont station. Old Downtown Silver Spring has had an exciting and ongoing renewal, a multi-million dollar facelift that is providing a pedestrian friendly downtown area with shops and restaurants. 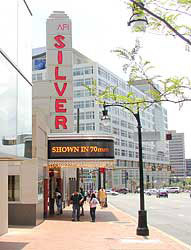 The American Film Institute theatre, now housed in the historic Silver Spring theatre, the theatre is an internationally recognized, state-of-the-art film and video exhibition center. 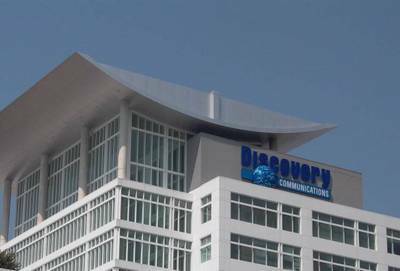 The Discovery Channel's breathtaking headquarters is located in downtown Silver Spring. Silver Spring is about to get a new "State of the Art" Transit Center named after Maryland Senator Paul Sarbanes, who was instrumental in approprating funds for this mammoth project. The "Close-in" older neighborhoods of Silver Spring with tree lined streets offer homes built in the late 1800's to the 1940's, providing the charm coveted by so many buyers. These older neighborhoods such as Woodside are for the most part within easy walking distance of the downtown Silver Spring metro stop or the Forest Glen stop. There is also some infill and a limited amount of new constrution occuring in Close-in Silver Spring, such as The Courts of Woodside and the Forest Glen Park Area. Also, within the older downtown area are newly constructed chic urban condos, with more still planned and currently under construction. Silver Spring's parks have more than just grass and trees. Many include playgrounds, ball fields, basketball courts, tennis courts, picnic areas, trails, ponds, recreation centers or indoor swim centers. Our parks and streams are beautiful and there are two very active groups of people that want to keep them that way, The Friends of Sligo Creek and Neighbors of the Northwest Branch are pivate groups dedicated to keeping our two largest tributaries clean and healthy. We Specialize in the Homes and Neighborhoods of Silver Spring and Takoma Park, MD. Our information is FREE and plentiful! Our Experience and Knowledge of Silver Spring Neighborhoods and Homes is PRICELESS. Extensive property knowledge will save you thousands whether you are buying or selling. After 20 years in the Real Estate Business - Our experience comes not just from transactions, but from time spent through market trends and cycles. Put our experience to work for you. Silver Spring Market Stats in Real Time! You can find many great Silver Spring real estate agents and loan officers on ActiveRain.com Debbie Cook is a proud member of the ActiveRain Real Estate Network, a free online community to help real estate professionals grow their business.